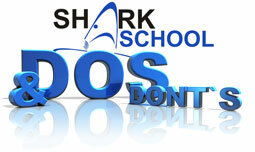 Free access to one of the largest database on shark accidents available on the internet. Request a detailed analysis of your accident and how it fits / differs with other incidents in the same area. Discussion boards where only fellow victims have access. Having been bitten by a shark can and likely is a very traumatic incident, even more so if permanent damage has been done changing one's life forever. But even "minor" incidents can leave their marks. All of us victims know this road all to well. Sometimes one feels betrayed, sees it unfair, asks "why me," wishes nothing more than not having been there at tha very moment... But it nothing makes it unhappen, forgotten, erased.. it will be there, and the only thing that can be done is acceptance and to move on. But how long does it take to accept and move on? Get in contact with us now! When will the government learn? 26-year-old dies off Cape Cod.